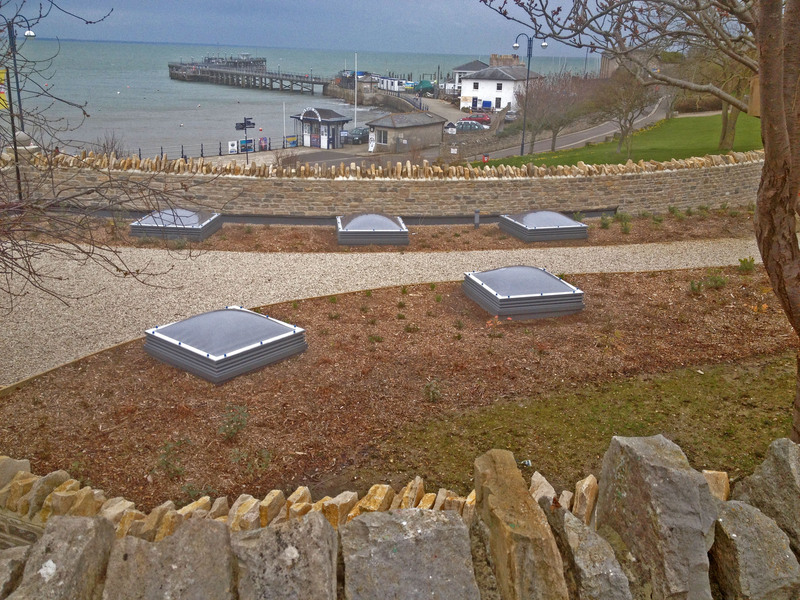 McKenzie Martin are proud to announce that our Ventura rooflights have been selected by Swanage Rowing Club for installation in their new headquarters. 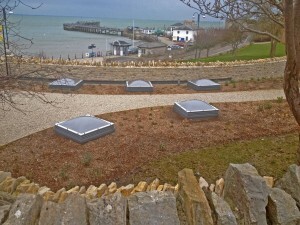 The new clubhouse is faced with local Purbeck stone and is set back into the hillside with a garden providing an environmentally green roof. It will house the club’s sea gigs and provide the club with a permanent base, an indoor training area and changing facilities. 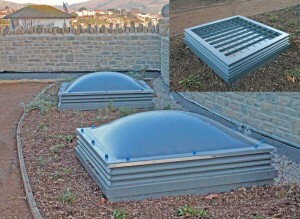 Due to the unique design of the club building the rooflights were located in a public garden area with the main structure built into the hillside below. This placement required us to provide enhanced security and fall arrest features to ensure that access through the roof (intentional or otherwise) was prevented. 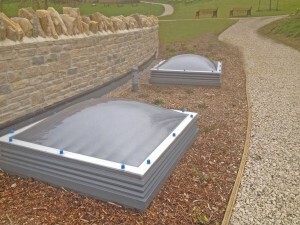 The rooflights were installed with double layered, CE marked polycarbonate domes, full security mesh and permanently venting bases to provide natural ventilation to the underground areas of the club. 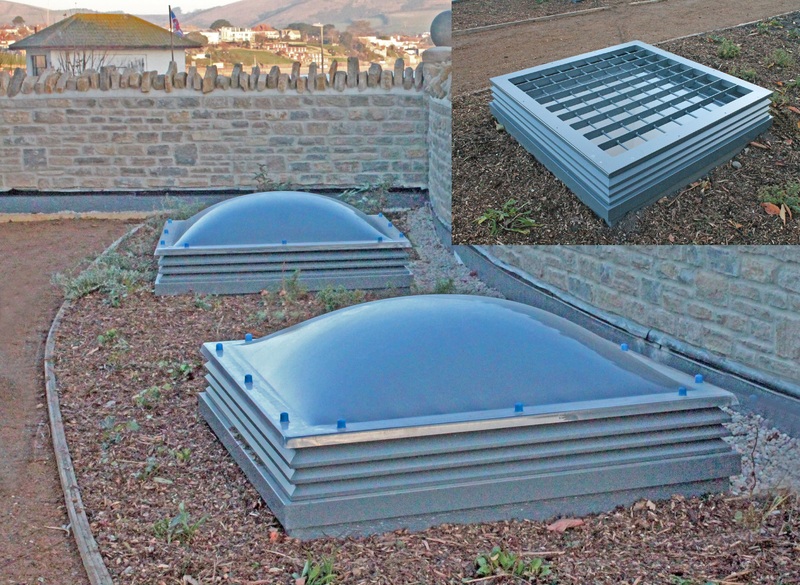 Rooflights with integrated ventilation such as these provide an environmentally friendly way of regulating internal temperatures without the need for powered equipment such as fans and AHUs. Coupled with our dedication to using renewable and environmentally sound materials in our products the use of our natural ventilation equipment presents a viable, green alternative to other building management systems. Hand built in our factory using high quality Aluminium extrusions and toughened double glazing each Ventura unit is custom made to suit individual applications and settings. 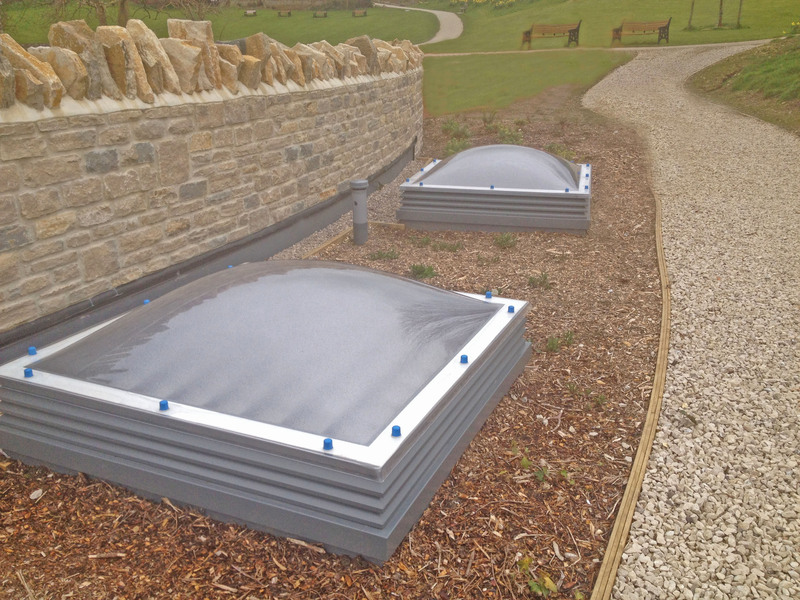 We can also provide louvres, ridge ventilation and operating vents in a variety of materials and colours. Posted on September 19, 2014 by Chris.